As the net closes on ANC leaders suspected of involvement in political assassinations in KZN, uMngeni Local Municipality councillor Muzomuhle Ndlovu has become the latest politician to be arrested. Sources within the political killings task team confirmed that Ndlovu was arrested at his home in KwaHhaza in Howick on Saturday morning. “He has been arrested in connection with the murder of a local politician in 2016,” the source said. Ndlovu’s family confirmed his arrest. “It is true that he has been arrested but as a family we must emphasise that we are very disturbed about the manner in which he was arrested,” said Ndlovu’s brother, Joe. According to Joe, members of the task team conducted the arrest in a heavy-handed manner. “They jumped over the fence and stormed into the house as if they were looking for a fugitive. He initially ran away as he thought that it was hitmen who had come to assassinate him. “They harassed his wife and kids and threatened to lock the wife up if he did not hand himself over,” he said. Since his arrest on Saturday the family have been struggling to establish his whereabouts. “They didn’t tell us where he is being held. We went to the local police station and police there told us they know nothing about his arrest,” said Joe. According to a member of the task team, Ndlovu had been linked to the murder of former IFP uMngeni councillor Luke Mthembu, who was gunned down in 2016 shortly before that year’s local government elections. At the time of his killing, Mthembu — who was also a minibus taxi owner — had just crossed to the ANC. Last month, the task team arrested four suspects in connection with Mthembu’s murder but they have since been released. Ndlovu is the second ANC councillor in the Moses Mabhida region to be arrested in connection with political killings in the region since 2011. Msunduzi Municipality councillor Nkosinathi (TK) Gambu is currently on trial in connection with last year’s murder of local ANC activist, Musa­wenkosi “Maqatha” Mchunu. 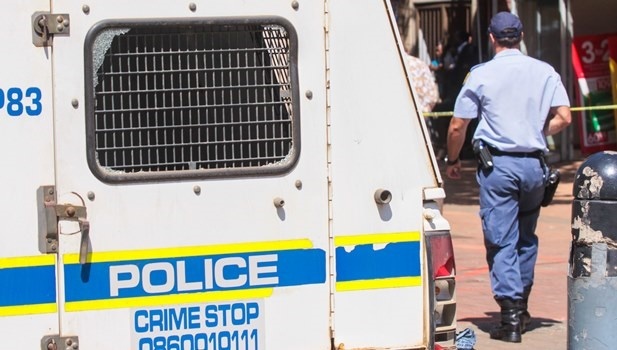 Since its establishment in June last year, the task team has arrested more than 160 people in KZN in connection with political killings in the province. High profile ANC figures who have been arrested include Newcastle Mayor Ntuthuko Mahlaba and Harry Gwala District Municipality Mayor Mluleki Ndobe, although charges against Ndobe have since been provisionally withdrawn. Mahlaba was arrested in connection with the 2016 murder of ANC Youth League (ANCYL) eMalahleni regional leader Wandile Ngobeni while Ndobe was arrested for the murder of former ANCYL secretary-general Sindiso Magaqa. The arrests have resulted in the ANC provincial leadership issuing an ultimatum for senior party members who have been charged with the murders to either resign from their government positions or face being recalled by the organisation. Police Minister Bheki Cele, who did not respond to claims about the task team’s high-handed tactics, however confirmed that investigators took Ndlovu away. “One official from uMngeni Municipality was taken in for questioning by the political task team regarding a political case,” the minister’s spokesperson, Reneilwe Serero, said.